This entry was posted in admin and tagged Great Adirondack Garage Sale, memorial day weekend on March 31, 2016 by Gina Greco. The 2015 New York hunting season proved to be one of the safest on record and yielded the first year without a hunting-related shooting fatality since record-keeping began in the 1950s, according to a report by the New York State Department of Environmental Conservation (DEC). This entry was posted in admin and tagged DEC, zero fatality hunting season on March 31, 2016 by Gina Greco. …has black bears on the move in the Fulton Chain region, so annual measures should be taken by residents and visitors to prevent negative encounters with them. The simplest way is to remove potential food sources, which usually results in the bear moving on, according to DEC. Not every bear that passes through a developed area is a problem bear… but readily available human food sources can quickly turn them into one, DEC says. 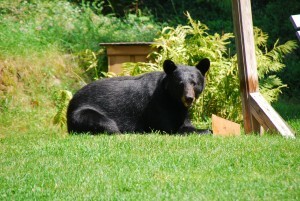 The file photo above, taken by Sue Kiesel, shows a local bear enjoying the contents of a once low-hanging bird feeder. This entry was posted in admin and tagged Bears are awake on March 31, 2016 by Gina Greco. 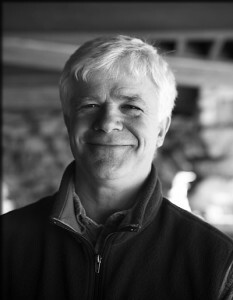 Joseph Martens, former Commissioner of the NYS Department of Environ-mental Conservation, will be honored as Conservationist of the Year at the Forever Wild Day celebration hosted by the Adirondack Council on July 9 in Northville. This entry was posted in admin and tagged Conservationist of the year on March 31, 2016 by Gina Greco. MASSAWEPIE, NY—Citing timely and implicit organization and planning for development of the Remsen–Lake Placid Railroad Corridor, representatives from ARTA (Adirondack Rail Trails ANALysis) announced on April 1, its plans for RATRACE (RAil TRail Activity CEnters) to be built in the corridor between Tupper Lake and Lake Placid. Situated in the backcountry, the centers will be relatively modest structures placed to provide comfort and convenience services for the anticipated 400,000–1.6 million visitors using the rail trail annually. This entry was posted in admin and tagged ARTA on March 31, 2016 by Leachim Remraf. Dave W. Van Pelt, 62, of Big Moose, NY, passed away unexpectedly Sunday, March 26, 2016. He was born January 29, 1954, a son of Lester and Beatrice Parmalee Van Pelt in Oneida, NY. This entry was posted in admin and tagged memorial services, Obituary on March 31, 2016 by Gina Greco. 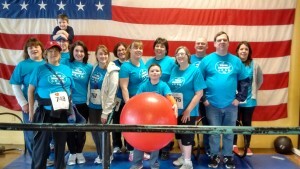 I would like to say thanks to all those who supported Team Zimmer in the Great American Heart Walk on Saturday, March 5th. We raised over $4,000. We had walkers from: Tennessee, Florida, Oklahoma, Kansas, Virginia, Louisiana, Hawaii, Pennsylvania, New Jersey, and of course New York. This entry was posted in admin and tagged american heart association, Card of thanks, donna myers on March 31, 2016 by Gina Greco.